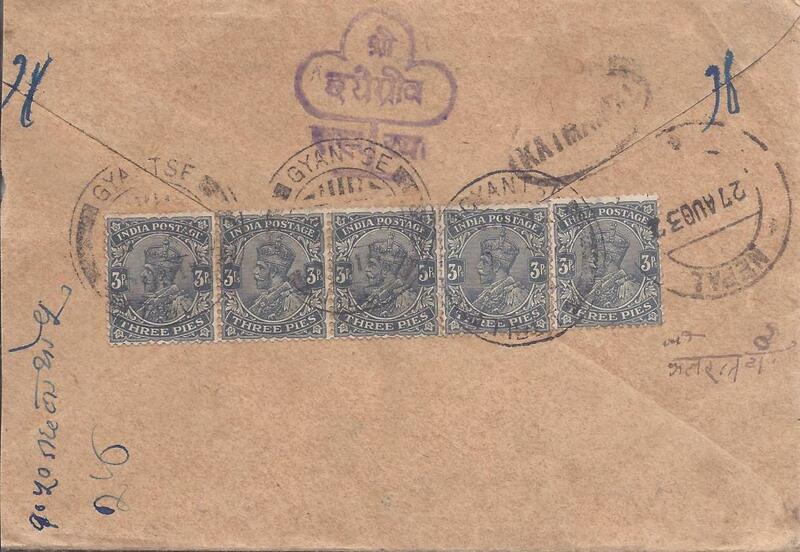 1920s cover from Shigatse to Petli bearing on reverse a single franking 1s. tied Shigatse date stamp with Penau and Gynatse transits left and right of adhesive and arrival bottom left. 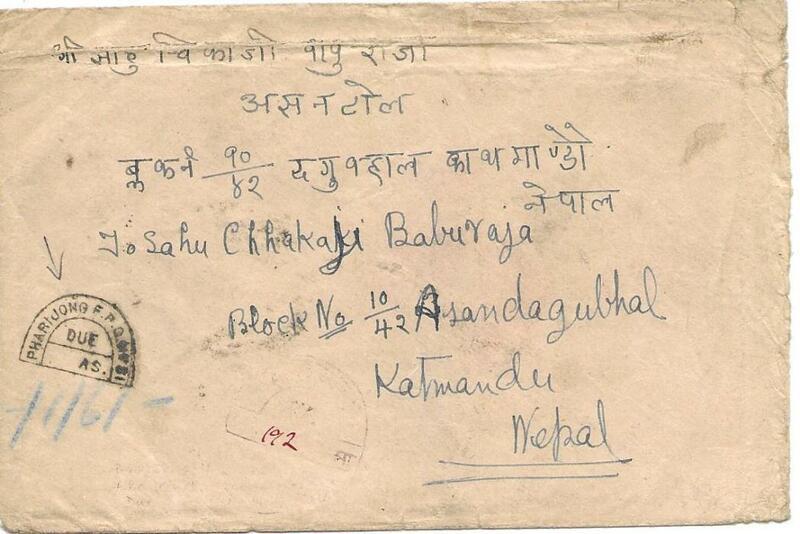 1932 printed envelope to Nepal franked on reverse by five India 3p. 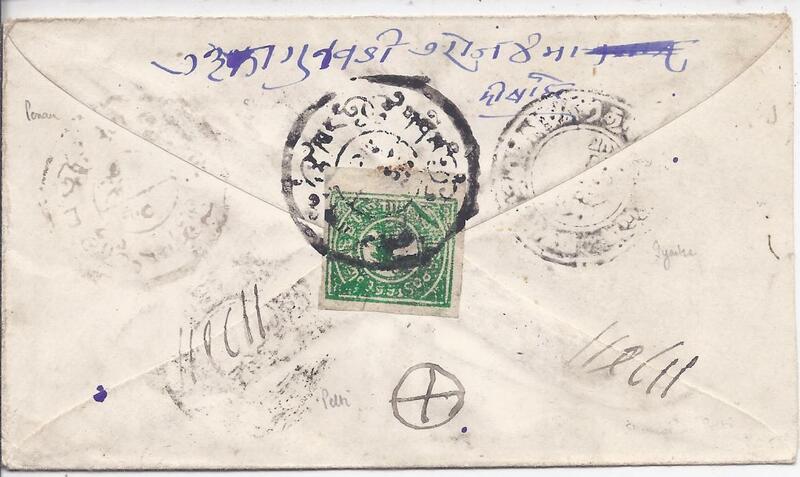 tied Gyantse Tibet date stamps, oval Kathmandu handstamp and double-ring Nepal date stamp at right. 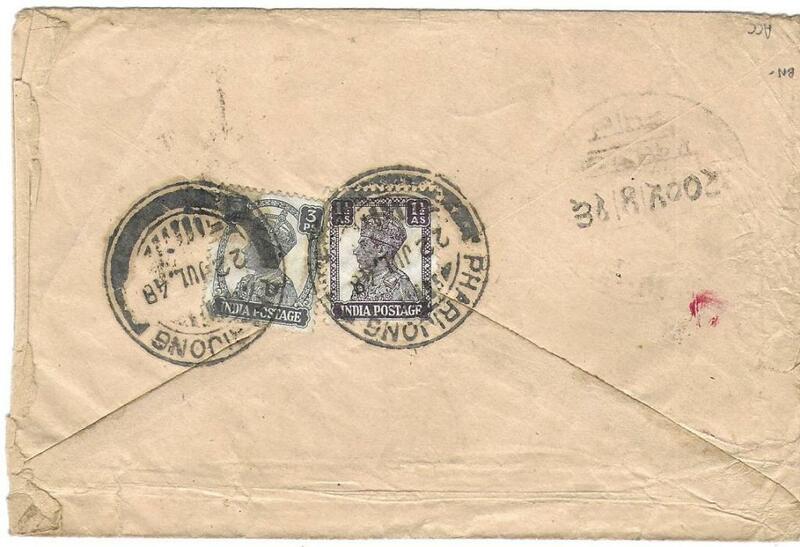 Envelope slightly reduced at sides, opened-out for display.